Today I am sharing the gifts I gave my Bridesmaids for standing by me on my special day! I knew I wanted to get my girls something that they could use everyday and not just on the day of my Wedding. I went a little overboard with spending, because I know just how expensive it can be to be in a Wedding...it ain't cheap! You can read my post here on the average cost to be in a Wedding. 3. 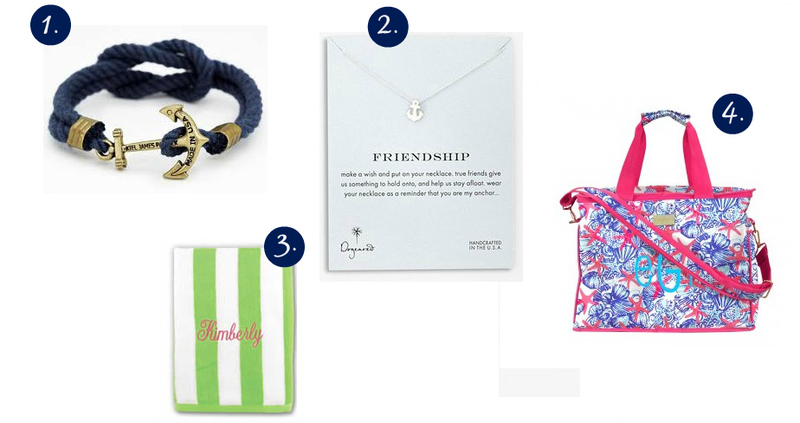 Monogrammed Beach Towels- Purchase Here (I actually bought a deal off of GroopDealz, if you are not signed up for GroopDealz you are missing out). 4. Lilly Pulitzer She She Shell Cooler- I purchased mine off of Swoozies. These coolers were huge and were super heavy duty, I was actually pleasantly surprised when they arrived in the mail! Be sure to write a cute handwritten Thank You to put in with the gifts! We bought these shirts for my Bachelorette party and then wore them while getting ready. 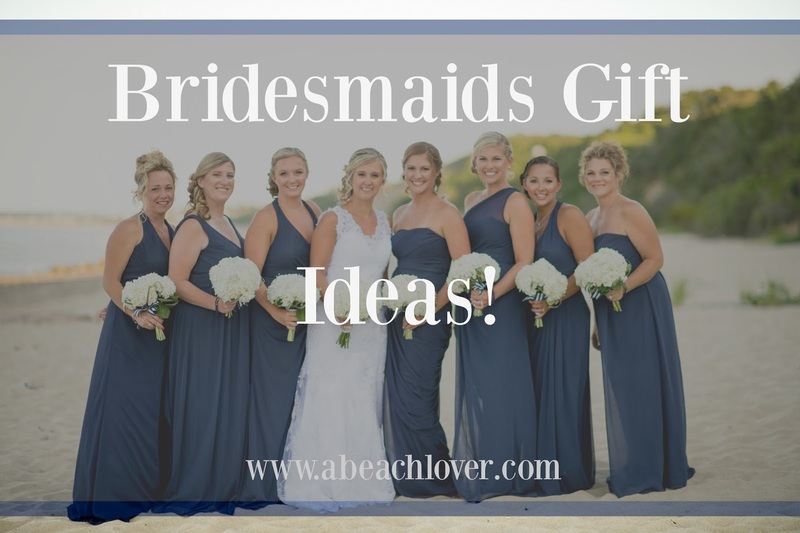 What did you get your Bridesmaids!? Be sure to check out my post on How I asked my Bridesmaids too! Definitely! When is your big day!? Everything is so cute!! I spoiled my girls as well, I started buying this right after we got engaged, so it was nice to spread out the costs. 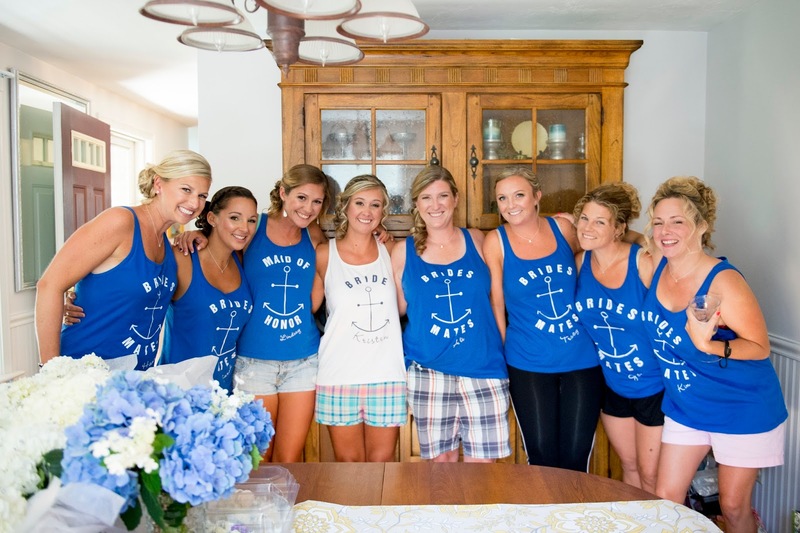 We also had shirts that said Brides Mates for my bachelorette party, so adorable! Your wedding was a nautical dream. Thanks so much! I did the same, I bought presents throughout the entire year so the costs were spread out!! I love the shirts!! So cute!